Last night I got the chance to read some of your web page and I can tell you that is a good way to know some about your country and its culture. For me, it’s a new world, very different from mine in some ways, and in others we are just exactly the same people, same needs, desires, etc. The articles are very interesting; to know a bit about the story of Bangladesh and to know more about you and your activities are fascinating. I don’t know anything about all the writers mentioned but I’m sure they are very talented people. With your site you’re opening a big door to show to the world about a spiritual, rich and talented country. Congratulations! It is wonderful how you tried to show to the world that Bangla literature is a part of universal literature and it is worthy to be known for its values not only by your people but also by others from other countries and continents. It is an open magic gate to a fascinating world that of Bangladeshi novels. I appreciate your devotion towards this website. Go on. I did take a look at your Bangle site, which looks wonderful and I am sure bangle speaking people across the globe who are interested about literature would find useful. I congratulate you on your initiatives of adding Bangle in your site. Do you know of anyone who sells classic English novels in Bengali or do you sell such novels? Do you know of any books by Kamala Markandaya in Bengali? Your help would be greatly appreciated. I just came across your review of the Bengali translation of an Orissa novel in today’s Daily Star. I then visited your website. I have been away from Bangladesh for decades and once used to know Monju Sarker personally. I am a fan of his short stories but never had the opportunity to read his novels. Is it possible to provide me with his address or phone number. Alternatively, is it possible for you to give his publishers address and phones? I am a 3rd year student in Computer Science, studying in University of Waterloo in Canada. My parents moved to Canada sometime ago. Before that, I used live mostly in Narinda, tati-bazar (old town) areas in Dhaka. I just want to applaud you for the efforts you have made in making www.bangladeshinovels.com, i have gone through it, and it was amazing. Good luck, and keep up your great work. Also, I feel the site is a little dull, i mean it’s not that attractive (no offense), which could be a reason why some people may not find it interesting to read through the site. However, the contents of the site is fantastic, its very informative and well organized. I think you should work on a little for the design/outlook of the site to make it more attractive. If you need any kind of assistance for developing/designing the site, I will be more than happy to help you out. It always feels great to do something for Bangladeshi culture, tradition etc, which is something that’s mostly lost now :(. Just feel free to contact me for regarding anything of that sort. Good luck with your works :). I have the honour to request you kindly to let me know the e-mail or postal address of Bangla Dhaka Academy, Dhaka as I want to purchase some books from them and for this act of kindness, I shall remain ever grateful to you. Thank you very much. You would be astonish to know that, when I get opportunity to use internet I always visit your website. I feel proud that my sir has done an incredible work for us. I am a Bangladeshi residing in Arizona, USA. Your website is very encouraging as well as stimulating. The American younger generation has very limited knowledge to the Bangladeshi literature. I personally wanted to take up a project to translate some of the bangla novel in English. of the books. I was wondering if there has been any program to translate the entire work. Who do you assign to do that? How do you judge their qualification? Hi! This is Ekram Kabir from BBC. I just came across your website on Bangladeshi literature. I think it’s a great initiative. I, however, have a request: please include short stories written by Bangladeshi writers in English on the site. Those of us dare not write novels can at least write short stories and get it published on your site. 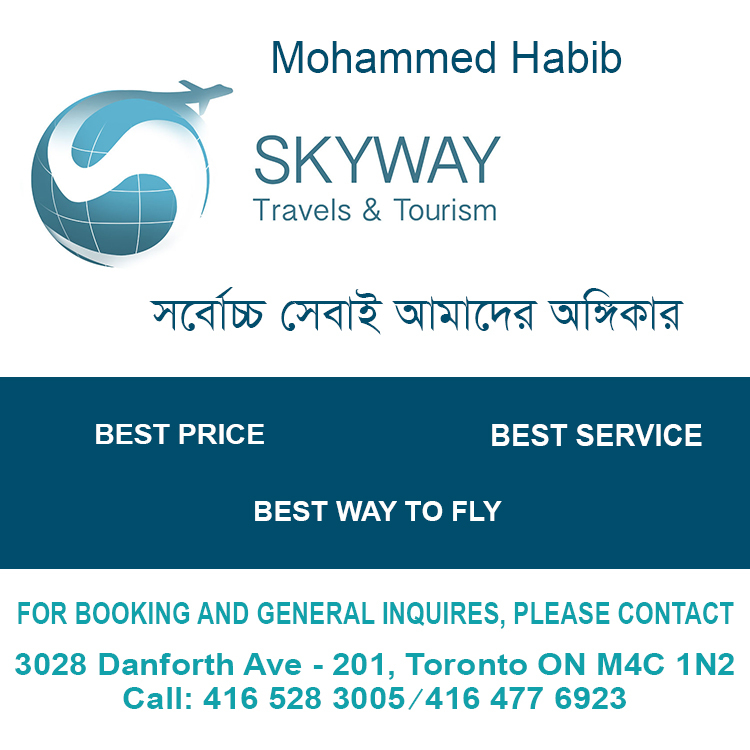 Your website Bangladeshi Novels.com gave me this contact info. Anyway, I was wonder whether you can tell me where to find Nasrin Jahan’s books here in New York. In fact, I checked Muktadhara a Bengali bookseller located in New York who only had a few collection of her books. Can I order them from somewhere securely? Now I’m in BD.. But, not available after 3 months..
It’ll be my great pleasure…….. It is my heartiest feelings at the moment of my traveling to bangladeshinovels.com that it is a miracle. It envied me. How rich the work is! It was my expectation to see such kind of creative works and I saw it at last. You are doing the great work indeed. This type of work needs much concentration commitment and needless to say the honesty. Your completed work is small in volume because it is under construction but it shows the inherent richness, strength, stability and beauty of itself. I am waiting for your further advancement. I think any novelist will want to occupy a space for him/herself. I was on bangladeshinovels.com and was wondering where in Dhaka these novels (translated to English) would be available (e.g. Humayan Ahmeds Love you all) , it is very encouraging to see Bangladeshi novels translated so that individuals like us (Bangladeshis transplanted to other areas of the globe) have some exposure to bangla authors and novels instead of focusing on and reading novels and writings by western authors. I am one of your students from BDR. My name is Fahim. I am from 1999 batch and I also studied English from you. I just visited bangladeshinovels.com and got your address. It is a very good and useful site. I am now in Bangladesh Medical College (Final year). Keep your blessings and good wishes for us. Apnake Ovibadon. Airokom website onekdin dekhi nai. nai. Take proper information about that. I just had a sweep through your site; it’s great…Keep it up! thank you for your email concerning the new Bangladeshi novel website. What a splendid idea! I must say that I should update the writersnet information about me. If you have a moment please do have a look at my websites www.astingingaffair.com and www.therootofallevil.co.uk. I hope they interest you at some level. All best wishes for the future and good luck with the website. Thanks very much for your email. You have a very interesting website and I was impressed by the range of work in there. At present, _Cerebration_ is calling for submissions for the May 2005 Issue and I would be delighted to receive written work (fiction/essays/articles etc) from you or interested writers. I simply loved the bangladeshinovels.com website. I have read Shaukat Osman in translation but little else of Bangladeshi literature. The literature of the subcontinent has rich emotional links and I look forward to reading more by Bangladeshi writers. Dear Subrata, it was nice to hear from someone from a neighboring country. I went through your website and it is interesting. I am actually a nonfiction writer and also a visual artist. As such I know many of your visual artists. Do you also write and do let me know about the current creative atmosphere in Bangladesh. I think I got a mail from you a few months earlier. I must have replied to that mail too. I wish you well. I’ll try to go to your site and spend some time there. I have a number of friends of two generations here, with family backgrounds in Dhaka, Mymensing and Borishal. Since I don’t have much time to spare for the internet for the next couple of weeks, I’d like you to tell me more about yourself. Please reply to my other ID-fabalas02@yahoo.com- since I have almost stopped mailing from here. All my literary activities and publications of features are done from there. I’ve now had the opportunity to spend some time looking through your web site. It is marvelous! I congratulate you. I know it is a labour of love, and that is all the more reason to congratulate you. I’m sure I shall have cause to use it again and again as a digital resource in the future. I shall add a link to your site on my own university website. Thanks for taking the time and effort to produce such a useful and elegant resource. Thank you very much for your labor of love for Bangla Upanyas. I congratulate you and appreciate your unique contribution. I visited your website and I think it’s a useful site. Are you enjoying translation work? Thanks once again. Congratulations to you and I do think the website is great! AT FAST TAKE MY SALAM. I’M SHAMES. I HAVE ALSO VISITED YOUR WEB SITE. I’M VERY PROUD TO SEE YOUR WEB SITE.I THINK YOU ARE A GOOD WRITER. SO I HOPE YOU WILL BECOME A VERY GOOD WRITER. I WISH YOU GOOD LUCK. NO MORE TODAY. I’M WELL AND HOPE YOU TO BE SO. r going to a famous writer. ok no more today. First of all I should be sorry as i have just visited on ur newly introduced bangla section of ur web page though u told me a lot ago. Sir, I’m just surprised to see ur bangla coverage. It was really amazing beyond my thinking have gone through ur page and discovered the page “ouponnasik” which amazed me much. I should give u a great thank of this perfect combination of photographs of novelists. Last of all, my earnest honour goes to u for presenting such a nice page to banglai. I have all along admired your pioneering efforts in promoting Bangla literature. What I like most in your writings is your non-partisan, objective and neutral stance on all things literary, which is a rare commodity in such a polarised and partisan society as ours. I wish you all the best in your literary endeavours. I pray to Almighty so that your selfless and sincere efforts are rewarded with literary acclaim, fame and success. Your bangladeshinovels.com is really a good job. Your contribution in the Bengali literature, as a researcher, is very much appreciable. As a reader I am proud of your work. I hope your success. The site is undoubtedly great. It’s really ecstatic to find such huge collection of novels, articles and pieces of bengali literature together. Such an initiative from you will really be helpful for Bengali language and literature to become global. I have gone through the site in a flash but surely will read in details. Hope you all the best for globalising Bengali literature. I would like to congratulate you on achieving this tremendous feet. The site looks equally fabulous and rich in Bengali. I have already informed my friends, relatives in India and abroad to visit the site. I would be glad to help you and your endeavour in any way. I wish you all the very best for future. Hello this is Faruk from Saudi Arabia. How are you doing of course fine .I appreciate you and your organize. Your site is very valuable resource and I am very pleased to include it in my website. I am interested about Humayun Ahmed’s novel named A Blissful Hell. How could I get the full book I mean internet version? I would be ever grateful to you if you send the soft copy. read some from the new section, too. Subrata Da “excellent website” it was very informative! Thank you very much for a nice thought full web site for us and our Kids. 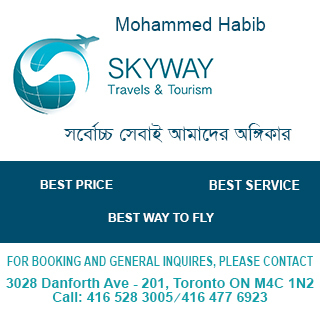 I will definitely promote your product towards Bangladeshi community in Toronto and also all of my friends and family in states. forward to your website enhancements. I like to know Mr. Humayan Ahmed novelist life details. I hope let us know with in soon on this web. I like to thank you for such a wonderful web site. Since yesterday, I been going through all the links and find out so many helpful topics. Especially about the authors and comments about their boo reviews. I hope in the near future you will add some more and helpful links. Once again, I thank you. How are you today? I am a Bangladeshi and I am working here in Qatar. I got you email id from –bangladeshinovels.com .Could you please tell me how can I download or from where I can download Bangladeshi Novels ? I will be very appreciated if you please reply m.
…ami anuman korechhilam www.bangladeshinovels.com-er sange apnar-i jog, apnar chithi gargidir kachhe dekhar agei apnar website ami dekhechhi, …. pleased to include it in my website. Look forward to reading more of your writings. My name is Mohua, i am in toronto .i find your email address while searching the web. I want to read bengali novel that has been written in bangla. such as humayun ahmed’s novel ….translated from of his writing cant bring that real taste…. can u give me some suggestion ?? …I have had a look at your website and decided immediately that I will come back to this again and again. Admittedly, there are not many people in my situation, but you are doing a great service to Bengali literature in general with this site. If you want more feedback and want to know what people are interested in, why don’t you install a comments page on the site? You might set off some interesting discussions! You may even want to get other people involved, eg in helping you decide which novels to write about. It’s an excellent website! Right now I’m in an internet cafe in Kolkata. I’ll be in Dhaka from the 3rd to the 8th of January. Once I’m back in Chicago and in my office, I want to have another and longer look. I’ll write you again after that. … I am happy that you are doing a great job with the essays. I have taken a good look into your site already. I find it useful in terms of its relevance and contemporaneity. My suggestion would be to put some more emphasis on an overall awareness of not only contemporary Bangla, but also its social and political contexts in more detail…. In theory and practice, any work on Bangla is absolutely welcome, and will have readership in Bangladesh and West Bengal, as I am sure you are already aware of. In the west–where I live and work at the moment for better or for worse– the case is slightly different. There is a great deal of interest in earlier and contemporary Bangla in the different universities. However, the emphasis seems to be more on translations, unfortunately. My approach to this problem is to produce as many Bangla texts as possible, and also have a selections from them translated into English, so that the process of dissemination goes uninterrupted. Unfortunately this is not the case at the moment due to no translations or even worse, weak ones. I know this sounds a bit bloated, but given that the levels of engagement with the Bengali language in the West is quite low, compared to Chinese, Korean, Japanese, Urdu, Arabic and Hindi (among the non-western languages) interest in the language has been declining rapidly. But then, perhaps out of all closed doors windows open. And from a pragmatic point of view, translations could be viewed as a bridge. And better the translation, greater the traffic on that bridge! Easy-peasy! Thus, someone like Akhtaruzzaman or Waliullah or Shamsur and many, many others are sorely missed by people like me in so far as teaching is concerned. The theme of cultural and social representation of aesthetically, socially and politically sensitive writing in Bangla goes unheard as a result. In this context, I do not therefore think that translation is necessarily merely a dilution of the original, but an opportunity to engage with good writing critically. Please let me know what you think. I am wondering if you could kindly tell me if Elias’s Khowabnama has been translated into English. If so, where and how I could possibly order copies. I am aware of Subhoranjan Dasgupta’s book on Elias, but haven’t come across an English translation as such. I am planing to teach the novel in a US university next year, if available in English. I am happy to share more info if you so wish. I am a Bengali residing in Kolkata and very fond of reading Humayun Ahmed.. I am desperately seeking his postal address or e-mail id which I promise would be kept secret.. Can you kindly help me out? I saw your site and liked it immensely. My name is Sarah Womack and I am a student of Anthropology at the George Washington University, In Washington D.C. I have been searching online for a copy of an English translation of Kaisar’s Sangshaptak but have been unable to find one. Do you know how I might go about finding a copy to buy online or perhaps where I might be able to buy on in the u.s.? I want very much to read it. I was wondering if you might know of any Bangladeshi writers living in exile in Canada. We are aware of one – Ritor Lutfor Rahman – but are interested in knowing of more. Assalamu alaikum. How are you? Hope you are well by the grace of Almighty Allah. I am also well by His grace. I have visited your excellent website. Thanks for creating this type of website. At first take my cordial respect. I’m Taposh from Science “A”. Already I visited your Web page. It’s really nice. Thank you for doing this type of work for our literature. However I’m leaving this time. Hope to write you again. Assalamalaikum. How r u Sir? I am one of the students of ur English class. My group is Humanities . And my name is Nahiyan Bin-Asadullah.First of all thank u very much for such a lovely webpage. That webpage will help us to gather a lot of knowledge. I saloot u for ur stunning effort in this webpage. With best wishes & regards to u. Bye. Namaskar. I don’t know whether you will get time to read my mail with mind, as you have to read many mails from many thirsty readers from all over the country and the world as well. Any way, hope my mail finds its way in the best of your health. I am a student of graduate level and by the grace of the Almighty, I am now studying in TAFE NSW in Sydney. A have left my country (a paradise) about 7 months ago. After completing of my SSC, I started to read and get an enormous taste of reading books (though it was so late to start). And after going through some essays like ‘Boi Pora’, ‘Shahitye Khela’ by Mr. Promoth Chowdhury (from our text book, I realised that Literature is really an eternal peace. Nobody can touch it see it but feel it. I started and enjoyed some books written by some writers of my country, specially Mr. Zafar Iqbal. But after coming here, I am not able to buy or borrow books. After searching a lot over the internet, I found your website (though I watched the Inaugural ceremony of this site in TV, but I forgot the site name). I think you can help me in this regard. Is there any internet version Book (e.g. PDF, DOC) found in web? If found please, give me the address. Or, please help me by any means. I want to read. You can also give the e-mail address of Mr. Zafar Iqbal so that I can mail him and describe my circumstances. I am sure he also will obviously help me. Staying in Calcutta,I have collected all the books of Humayun ahmed.Could you please send me the name of his new books after “JANANI O JOCHNA” ? I will be grateful to you for the same. … I visited your website. It is a tremendous work. I am extremely proud of you. I have decided to go through in details by taking time. I have planned to come on leave on 20 July. I hope to reach Dhaka on 22 July. During my stay in Dhaka I can learn more from you if you can spare time. Is there a novel by Syed Shamsul Haq entitled Rajan Sundari? Can you tell me anything about it? It’s availability? Subject matter? etc. many thanks in advance! I recently discovered your bangladeshinovels.com site and was happy to find somebody who is helping with getting Bangali voices heard around the world. While I am sure many people worry about the lack of the Bangladeshi voice out there, few people do anything about it and so I appreciate the efforts behind your website. Please allow me to introduce myself- My name is Javed Jahangir and I live in Cambridge, Massachusetts US. I am involved with a small community of local writers…. Can you tell me how can I buy the following new books by Humayun Ahmed? I am very pleased to meet you, a nice man and a great writer. I visited your website. It is really a great job for our country, our language. I request you to include here about Biplab Dus. He wrote only one complete novel titled Kimpurush but it ie very powerful in Bangladesh context. Bangla Academy published his biography written by me. So I can comment on it. I add, Why not Proshanta Mridha? I highly appreciate your outstanding website! It is really a milestone for the Bengali Literature to be easily familiar with the Bengali especially staying abroad. I am working in Dubai. Please let me know my favorite writer Humyuan Azad phone no. I will talk to him concerning literature. i am dr. v. padma, from chennai, india. i teach a paper on south asian writing in a city college here. can i have a list of writers in english from bangladesh- who you think are leading writers…novelists, playwrights, poets, short-story writers…to consider for our syllabus here. i get only taslima’s name. and kaiser haq so far. find them. Make an anthology. I have really enjoyed reading your beautiful and informative web page. I would love to buy some of the books that have been described on your web site. Can you please let me know where I can purchase them? I live in Los Angeles, California. We have just come across your website and are absolutely delighted to find such a rich resource available to the public. Please accept our deepest gratitude for this marvellous work. With best wishes. I have seen your website, which is excellent. Probably you know your comment about the JOURNEY is shown in the book’s web-information both in Trafford.com and Amazon.com. I am leaving Khulna for two weeks and am currently busy in packing. I shall let you know my comments about your review and others after I come back. Have nice times by this time. congratulations on your work. i very much appreciate you. this is really a good work for all of us. thanks a lot for your wise decision. please note that at last para the spelling is bangladeshinovelsi.com instead of bangladeshinovels.com. please correct it. You deserve (not only books) love from many of the bangladeshi who think about the future. I really like the web-site. You must be proud to get it off the ground and running. How many hits are you getting per day? I like the logo! Did you design it? On the articles page: is would be great if you could use the author’s pictures as the links, so you click on the pictures to read more about that author or their work. Also it will be useful for you to have contact e-mail details on the site so people can e-mail you with praise, suggestions & ctiticism of the site or Bangladeshi literarure from around the world. Thank you for your valuable work. I could not find a name listed in your contents one of our feminist writer renowned in the world TASLIMA NASRIN. ARE YOU SCARED ABOUT TO PUT HER NAME OR YOU FORGOT. JUST REMIND YOU. I just opened up your website…. Your website endeavor will be much appreciated, I am sure. Bravo! A really wonderful and informative website – will fulfill the info vacuum in this particular field for English readers. Keep it up. It is an amazing & hard work! Got this web site address from daily jugantor. Now, i’d like to read the novel itself. When it is on online, let me know. aami bharater tripura theke likhshi. aami jadi e rakam ekta site tairi korte chai aamaar ki korte hobey & aponi aamaake ki bhaabhe sahajya korte paren. daya korey janaley khushi o bardhito hobo. I just finished browsing your web-site www.bangladeshinovels.com . It is an excellent initiative. I must say that you deserve more than a simple ‘thank you’ for your noble effort. It is nice to see that these kinds of sites are coming up. Can you please do something for us, who are staying long period abroad and are not able to collect books those are published physically. We would appreciate if any step is taken so that we can get them and read them on line. Once again thank you very much for the efforts taken by you.